Donald Trump's team may have a few things in common with 'progressive' politicians, says International Trade Minister Chrystia Freeland. PARLIAMENT HILL—You can expect to see a lot more Chrystia Freeland in 2017. Barring a cabinet shuffle, the 48-year-old trade minister and MP for University-Rosedale will lead Canada’s defence against the onslaught of trade reforms promised by U.S. president-elect Donald Trump in the coming year. Mr. Trump campaigned on promises to renegotiate the North American Free Trade Agreement with Canada and Mexico, and to punish companies that send jobs out of the country. 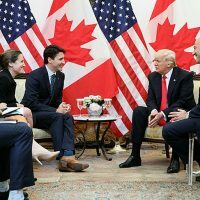 Canada escaped most of Mr. Trump’s campaign trail barbs, but ongoing disputes between the two countries over softwood lumber, chicken, dairy, and drywall imports, and American dissatisfaction with the NAFTA promise a rough ride for Canada on the trade front in the foreseeable future. Mr. Trump’s appointment of Robert Lighthizer, a corporate lawyer with a reputation as a tough-as-nails negotiator, as the next U.S. trade representative—Ms. Freeland’s de-facto counterpart—is another warning sign of what could be in store this year. Ms. Freeland will go to bat for Canada fresh from a last-minute victory on her biggest file in 2016. She won praise from across the political spectrum for cajoling, handholding, and browbeating European politicians, as necessary, into coming together to finally sign a trade deal with Canada at the end of October. She was able to do so, in part, thanks to her own pre-political credentials as a progressive thinker, as well as her role as the face of the Trudeau government’s effort to reframe free trade as a “progressive” cause friendly to the left and the middle class on both sides of the Atlantic, say Canadian politicos and trade-watchers. That line likely won’t fly with a right-wing Trump administration determined to wring wins out of a threatened renegotiation of the NAFTA, said Scott Sinclair, who leads the Canadian Centre for Policy Alternatives’ Trade and Investment Research Project. Ms. Freeland hinted at her approach to the challenge in an interview with The Hill Times last week, saying Canada and the Trump administration may have more in common on the trade and economy files than the contrasting rhetoric would suggest. Concern over the hollowing out of the middle class is a common theme among political parties of all stripes in Canada, the U.S., and other industrialized countries, she said. Ensuring workers at home are not undercut by those in other countries that have poorer labour or environmental standards is a concern the Trump team may share with countries like Canada that espouse a progressive trade agenda, she said. “I think that, broadly … is a realization that you’re seeing a lot of leaders coming to. The strategies that you come up with in supporting the middle class are going to be different, but some of the issues, like labour and environmental standards, I see as really common across the G7, across the OECD. This is sort of a dawning conviction that a lot of people are having, including south of the border,” she said. Mr. Trump campaigned to victory with a strong appeal to working-class voters. His environmental credentials are much more questionable: he has said he doesn’t believe climate change is real, and his appointee to lead the U.S. Environmental Protection Agency is a noted critic of climate change, as well as the agency itself. Managing the Canada-U.S. relationship will be the top file for Ms. Freeland as trade minister, but certainly not the only one. The Canada-EU trade deal needs another push through the European Parliament, the pending demise of the Trans-Pacific Partnership will require a fresh look at trade talks with Japan, and the foreign ministry is planning to launch a public consultation over free trade with China. “I think 2017 will be her true test as a minister,” said Adam Taylor, a former communications director for ex-Conservative trade minister Ed Fast and the lead of Ensight Canada’s trade practice. It’s possible, however, the test of working with the Trump administration could come in another role in cabinet. Toronto Star columnist Paul Wells has linked Ms. Freeland to the foreign affairs portfolio in the event that Prime Minister Justin Trudeau (Papineau, Que.) decides to shuffle his cabinet at an upcoming cabinet retreat. International trade is Ms. Freeland’s first cabinet portfolio. The ex-business journalist, author, and U.S. TV pundit first ran as a Liberal candidate in a 2013 byelection in Toronto Centre, safe Liberal territory vacated by former Liberal MP and interim party leader Bob Rae when he resigned from Parliament. Ms. Freeland won her first election handily, beating runner-up NDP candidate Linda McQuaig, another ex-journalist, by 13 points. After a redrawing of federal electoral districts, she ran in the newly-created neighbouring riding of University-Rosedale, Ont. in 2015, beating NDP candidate Jennifer Hollett by more than 21 points. Ms. Freeland’s background made her an unsurprising choice for the trade role in cabinet. She had years of experience writing and speaking about international business and economics, connections in the U.S., U.K., and elsewhere, and progressive credentials—she literally wrote the book on the plight of the middle class, titled Plutocrats: The Rise of the New Global Super-Rich and the Fall of Everyone Else. Ms. Freeland was made chair of the cabinet committee on Canada-United States Relations, a no-brainer decision—trade, along with security, is a top bilateral issue—that will become even more important with the looming NAFTA talks. 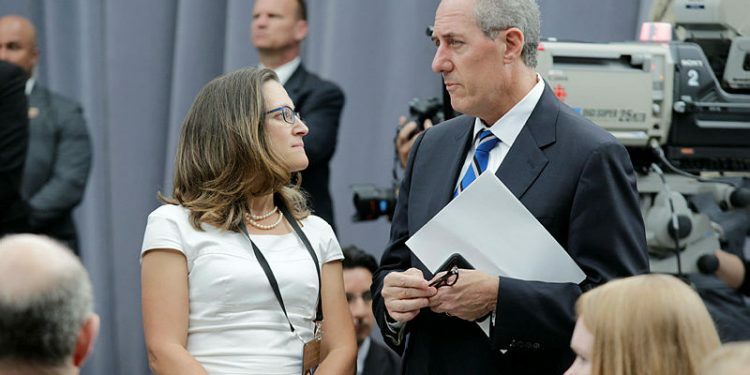 Canada’s ambassador to the U.S., David MacNaughton, has been a staple at the meetings of that committee, Ms. Freeland said. More than 20 staff work in Ms. Freeland’s ministerial office, led by chief of staff Brian Clow. Mr. Clow and parliamentary affairs director Vincent Garneau make a point of staying connected and available to business groups and other stakeholders with interests in international trade, say lobbyists who work on the file. The rookie minister took on the trade file without much of a hitch, absorbing information from officials in Global Affairs Canada quickly, and showing in public appearances she has a firm grasp of the issues in her file, say those who follow international trade and the Liberal cabinet. Strong showings in the House and, perhaps more importantly, a consistent approach to managing her top files are signs Ms. Freeland has been successful in cabinet so far, said Peter Clark, a lobbyist and former foreign ministry official specializing in international trade. “She can certainly defend herself in a debate, so I don’t imagine she’s losing anything in cabinet. Nobody seems to be pushing her off positions,” he said. 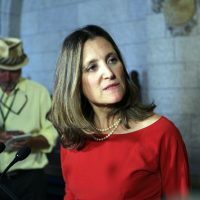 Ms. Freeland’s mandate letter from the PMO included a laundry list of objectives, but three files dominated trade headlines and her time in late 2015 and 2016: the Trans-Pacific Partnership, Canada-EU trade deal, and the looming softwood lumber dispute with the U.S.
Opposition to the Canada-EU CETA trade deal grew on Europe’s left throughout 2016, stoked by the campaigning of social justice groups opposed to the deal, including Canada’s Council of Canadians. European politicians on the centre-left began to hesitate or even oppose the agreement, including, most famously, the leadership of Belgium’s Wallonia region, which threatened to veto the whole thing. Ms. Freeland, her parliamentary secretary, David Lametti (LaSalle-Émard-Verdun, Que. 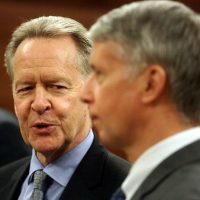 ), chief negotiator Steve Verheul, and later former Chretien-era trade minister Pierre Pettigrew, went all in to save the agreement. The Liberals agreed to essentially restructure the investor-state arbitration portion of the trade deal, which was drawing the most ire from opponents, and sign a political document—criticized as meaningless by CETA opponents—guaranteeing the right of states to regulate their economies regardless of the deal. Ms. Freeland personally had 82 official communications with European counterparts regarding the CETA between the time she was appointed to cabinet and early November, according to a document made public by her office. Nearly 60 of those were made in-person—meetings, “pull asides”, and presentations—and the majority took place outside of Canada, including in Belgium, Slovakia, Kenya, Switzerland, Germany, France, Austria,the U.K., China, and Ukraine. The CETA talks came to a head in late October, when Ms. Freeland walked out of a two-day meeting with Wallonian leader Paul Magnette. Visibly dispirited and emotional, Ms. Freeland told reporters that she was headed home because it seemed “impossible” to get a deal done with the Europeans. Ms. Freeland’s gamble paid off; the Europeans, broadly in favour of the agreement at the state level, continued to mount pressure on Wallonia and other dissenting regions in the days that followed, and with a little more horse trading, a deal was made. For that she has been lauded by CETA supporters and politicos in Ottawa. The rest of her body of work is more divisive. Ms. Freeland was unable to make a deal to stave off yet another legal battle on softwood lumber with the departing administration of U.S. President Barack Obama, and will have to face off on the issue with a Trump government emboldened by a mandate to get tough on trade issues. On the TPP, Ms. Freeland has refused to take a position on the agreement negotiated by her Conservative predecessor, beyond signing the deal to keep the government’s option to ratify open. Instead, she and Mr. Lametti (LaSalle-Émard-Verdun, Que. ), held a seemingly never-ending series of meetings with TPP stakeholders and critics, which officially still have not wrapped up. 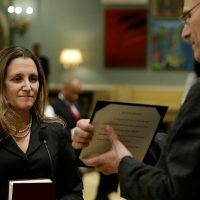 Ms. Freeland essentially “ducked” making a decision on the TPP, “which is basically the right thing to do until we know whether or not the United States is going to be involved,” said Mr. Clark. The TPP, as negotiated, can’t be realized without ratification by the U.S., and Mr. Trump has pledged to withdraw his country from the deal. The Conservative opposition spent much of the year slamming Ms. Freeland and the government for failing to ratify the TPP, and will likely keep up the pressure in 2017 for stronger trade ties to Asia—in particular, Japan—if the TPP officially collapses. Trade policy is another area where Ms. Freeland, through her year of firefighting, has left some observers wanting more. Talk of progressive trade aside, the government has not yet released a comprehensive plan for the way it wants to approach international trade, as the Conservatives eventually did through the Global Markets Action Plan. That’s leaving some wondering about the substance behind the progressive trade agenda, and how the pieces—the CETA, talks in Asia, edging closer to the South American Pacific Alliance—fit together, said Phil Rourke, executive director of Carleton University’s Centre for Trade Policy and Law. 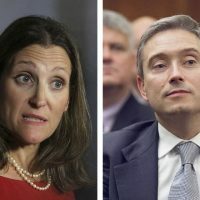 There’s also a question, at least for those on the left, of how Ms. Freeland’s rhetoric around progressive trade will match up to reality when the rubber hits the road and the CETA goes to individual European states for ratification, said Mr. Sinclair. Closing the CETA was no easy feat, but 2017 will be Ms. Freeland’s first opportunity to handle trade negotiations—over the NAFTA, for example—from the beginning, said Mr. Taylor. “I think the jury is still out on how she will perform,” he said.